What is a modern day witch? Having you been checking out Ceremonials and wondered…what IS a modern day witch? Or, maybe you’re familiar and looking for some new content about the subject? Check out this fascinating article and photography series from Refinery 29 (link below) and don’t forget to get your tickets now for Ceremonials! This entry was posted in Uncategorized on February 13, 2019 by feemankl. 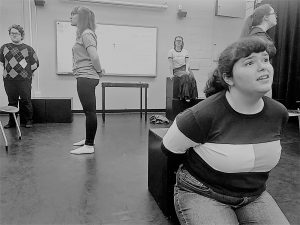 Did you know 21 Chump Street is based on a true story? 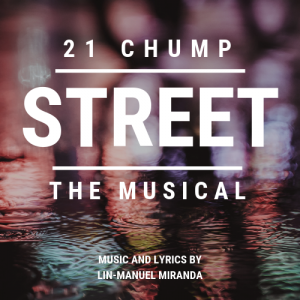 It’s true, Lin Manuel Miranda’s short musical 21 Chump Street is based on a real story! 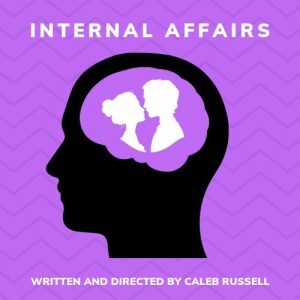 You might have heard about it on NPR’s This American Life this week for their Valentine’s Day episode, or back in 2014 when the episode originally aired. 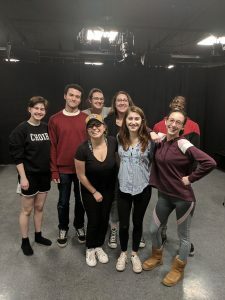 Check out the full podcast by following the link below and don’t forget to get your tickets to 21 Chump Street and all the fantastic shows in IAS this year! FRIDAY FEBRUARY 22nd: DOUBLE BILL! SATURDAY FEBRUARY 23RD: MATINEE DOUBLE BILL! SATURDAY FEBRUARY 23RD: EVENING DOUBLE BILL! This entry was posted in Uncategorized on February 11, 2019 by feemankl. Are you ready to see some theatre?? Ticket info is here! 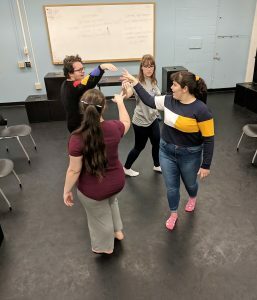 IAS Festival Weekend 2019 is coming up FAST! This entry was posted in Uncategorized on February 8, 2019 by feemankl. Behind the scenes of Ceremonials! 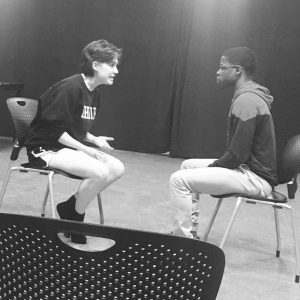 Don’t miss this emotional and dynamic piece on February 22nd and 24th! More ticket information coming soon! This entry was posted in Uncategorized on February 6, 2019 by feemankl. 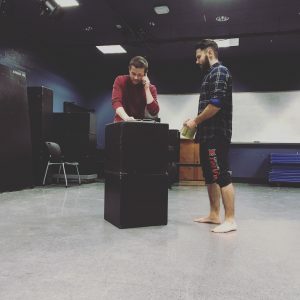 Man, the Creature rehearsal update…things are getting exciting! 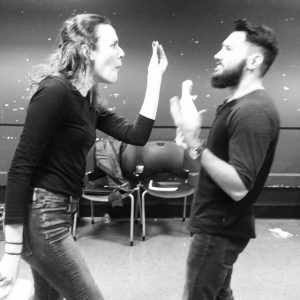 Check out these behind the scenes photos from Man, the Creature rehearsal! Don’t miss out, you can come see this fantastic show February 23rd and 24th. More ticket information is coming soon! This entry was posted in Uncategorized on February 5, 2019 by feemankl. 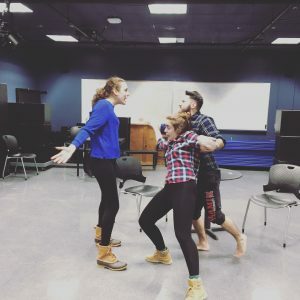 The 2019 IAS season is here! The Independent Artist Series is proud to announce the 2019 festival lineup! This year, IAS will be featuring four diverse pieces of live performance, three of which are world premiers. You can find information about the shows below. Stay tuned for interviews, pictures, behind-the-scenes updates, show times and more! Having been shut out of her Catholic religion, accused of witchcraft, and on her way to trial, a young woman convenes with a coven of witches. 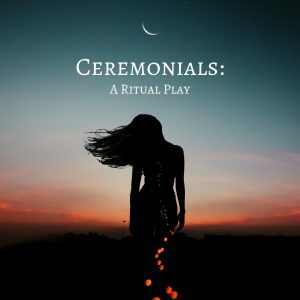 They perform a ritual “mass,” blending liturgical elements from Catholicism with witchcraft, telling stories from their trials in order to find new hope and freedom from their ashes. one else will ever truly understand them. strength of the human spirit even in the most difficult circumstances. 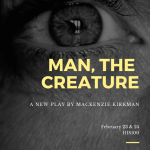 Directed by Kyle Carson and Holly West, Choreography by Michelle Guiot, & Music direction by Joseph Ivan. This entry was posted in Uncategorized on January 30, 2019 by feemankl. 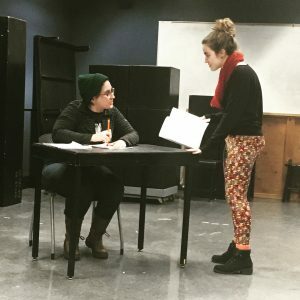 Rehearsals are underway for “Almost an Evening”! This entry was posted in Uncategorized on February 15, 2018 by bledsosd. 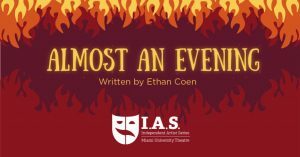 Tickets now available for “Almost an Evening”! 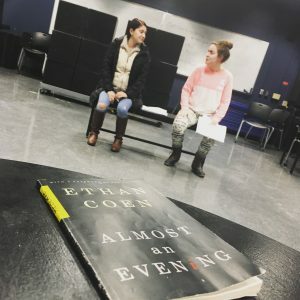 Join us on Friday & Saturday, February 23rd and 24th, at 8pm in Hiestand Hall 100 for “Almost an Evening”! 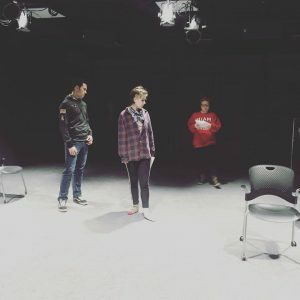 The cast and crew are hard at work and look forward to showing you what they’ve been doing all semester! This entry was posted in Uncategorized on February 12, 2018 by bledsosd. 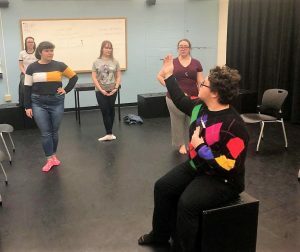 The Miami University Independent Artist Series provides an outlet for the creative work of students and encourages an experimentation with theatrical form. 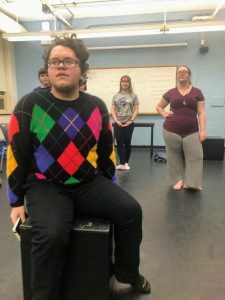 The series is modeled after the “storefront” theatre movement and is produced entirely by students who serve as directors, designers, technicians, performers, stage managers and marketers. 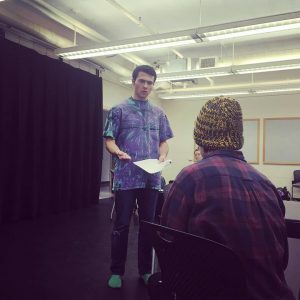 Join us for some exciting work by young new voices in the theatre! This entry was posted in Uncategorized on October 31, 2016 by harmeyja.